“Section 34 – Payment of interest.-When the amount of such compensation is not paid or deposited on or before taking possession of the land, the Collector shall pay the amount awarded with interest thereon at the rate of nine per centum per annum from the time of so taking possession until it shall have been so paid or deposited. 24. To sum up, interest is different from compensation. However, interest paid on the excess amount under Section 28 of the 1894 Act depends upon a claim by the person whose land is acquired whereas interest under Section 34 is for delay in making payment. This vital difference needs to be kept in mind in deciding this matter. Interest under Section 28 is part of the amount of compensation whereas interest under Section 34 is only for delay in making payment after the compensation amount is determined. Interest under Section 28 is a part of enhanced value of the land which is not the case in the matter of payment of interest under Section 34. (b ) interest received by an assessee on compensation or on enhanced compensation, as the case may be, shall be deemed to be the income of the year in which it is received. (viii) income by way of interest received on compensation or on enhanced compensation referred to in clause (b) of section 145A. 3 Inclusion of Interest Under Section 28 of the Act 1894 Will be included under enhanced compensation and will not be taxed as no Capital Gain will arise. Will be included under enhanced compensation and will not be taxed as Capital Gains from this are exempt under Section 10(37). The Interest under consideration should be included in the enhanced compensation as per above cited case but practically assessee will never want this inclusion due to reason mentioned in point 4. 4 Whether Assessee will be benefited by inclusion of interest under section 28 of 1894 Act in enhanced compensation? Yes, because here part of interest under section 28 of 1894 Act will not be taxed as it is included in enhanced compensation of an asset the gains of which are exempt. In other words, by dint of falling outside section 2(14) will save tax. In this Scenario above mentioned SC order can be used favorably. Yes, because here part of interest under section 28 of 1894 Act will not be taxed as it is included in enhanced compensation of a Capital Asset the gains of which are exempt under Section 10(37) of the 1961 Act. In other words, by dint of Section 10(37) will save this class of interest from tax. In this Scenario above mentioned SC order can be used favorably. No, because the Capital Gains in this situation are taxable at the flat rate of 20%. Whereas if interest is not included in enhanced compensation it will entitled to get a flat deduction of 50% and the balance 50% will subject to tax at normal slab rates. Incidence of tax is higher if interest under consideration is included in compensation and vice-versa. 7. When interest under Section 34 of the 1894 Act is to be taxed is an issue at all in these cases? A. What Various Judicial Pronouncement says? Interest on enhanced compensation is not taxable on lumsum basis under mercantile system, however spread over on annual basis over the period starting from the date of compulsory acquisition to the date on which court makes an order for enhanced compensation. 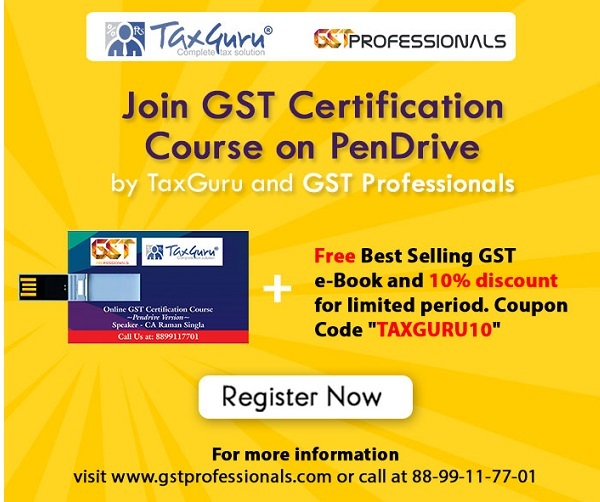 The existing provisions of Income-tax Act provide that income chargeable under the head “Profits and gains of business or profession” or “Income from other sources”, shall be computed in accordance with either cash or mercantile system of accounting regularly employed by the assessee. Further, the Hon’ble Supreme Court, in the case of Rama Bai Vs. CIT (181 ITR 400) has held that arrears of interest computed on delayed or enhanced compensation shall be taxable on accrual basis. This has caused undue hardship to tax payers. With a view to mitigating the hardship, it is proposed to amend section 145A to provide that the interest received by an assessee on compensation or enhanced compensation shall be deemed to be his income for the year in which it is received, irrespective of the method of accounting followed by the assessee. Further, it is proposed to insert clause (viii) in sub-section (2) of section 56 to provide that income by way of interest received on compensation or on enhanced compensation referred to in sub-section (2) of section 145A shall be assessed as “income from other sources” in the year in which it is received. This amendment will take effect from 1st April, 2010 and shall accordingly apply in relation to assessment year 1998-99 and subsequent assessment years. The legislatures have dealt with the issue with the amendment through Finance Act 2009. However, they left the taxpayers with the ambiguity because of the words highlighted in the memorandum explaining the amendment. Means interest related or accrued after 1998-99 is to be only covered by section 145A(b) and hence taxed on receipt basis but if it relates or belongs to period before 1998-99 it should be taxed as per above mentioned pronouncements. Hence, the legislatures need to clarify on this matter so that resultant litigation can be avoided. Hi sir, our land was acquired by Haryana govt for SEZ in 2008. We have received the enhanced compensation along with interest on the delayed payment. The HSIIDC have issued form 16 where TDS was deduced at 10% on interest amount under section 194A. Please help us to understand how the return would be filed? What if interest on delay of enhance compensation which is exempted under section 10(37) received, will be taxable, Help me with clarification. Hello Hemanth Sharma, the above article of urs is very helpful. Our land was acquired in 1997 for a Irrigation project . During that time land was in agriculture zone ..considering the potentiality of the land being converted to urban use the civil court enhanced the compensation . Along with compensation , interest was paid for 15years .. Questions : 1) do we have to file income tax returns? 2) is the interest ( for delay in payment ) taxable ? Commercial banks and now the Cultivators receive the original amount along with banks interest. there should be writ file against the deptt officer who deduct the tds on amt of compensation even interest u/s 28 of L.A. 1894 regarding agriculture land. The Apex Court settled a very old controversy with regard to the year of taxability of the receipt of Disputed Enhanced Compensation is now resolved and the same is taxable in the year of receipt, notwithstanding the fact that the dispute with regard to the ultimate right of receiving such compensation under the L.A. Act is finally not settled. The judgments of the Apex Court in the above cases also make it clear that the above position with regard to the taxability of receipt of such compensation will apply under the Post-1988 Law. In the context of the year of taxability of interest on compensation or on enhanced compensation, the Act is now specifically amended by the Finance Act, 2009 w.e.f. the A.Y. 2010-11 [Ref. sections 145A(b), 56(2)(viii) and 57(iv)]. Under the amended provisions, effectively, 50% of the interest received by the assessee on compensation or on Enhanced Compensation is taxable in the year of receipt. These provisions do not distinguish between the interest received u/s 28 or 34 of the L.A. Act. In fact, these provisions also do not make any reference to compulsory acquisition or to the L.A. Act. Therefore, some issues are likely to come up for consideration with regard to the applicable provisions for the taxability of such interest and in particular, in the context of interest awarded u/s 28 of the L.A. Act. But inspite of these guidelines laid by the Apex Court the dispute on the very issue of relevance of enhanced compensation and refute persists which often results in the incorrect usage of the provision and undue advantage are taken. Not to forget the inherent limitations of the statute because of its age. The Land Acquisition Act is more than 150 years old nod and its provision need to be amended drastically, especially in matters relating to compensation and their tax implications. With the taxation laws and rules changing by the day, it is very difficult o keep a harmony and find a way to draw relevant conclusions on its application. The problem is also not properly dealt properly in the new Land Acquisition Bill. So the only solution at the disposal is a dynamic Act, in-competence with the ever-changing issues arising. Thanx for the valuable info. What is taxability of compensation received in form of land along with monetory term? is plot of land received as compensation for complusory acquisition will form part of compensation ans subsequently exempted as per sec 10 or 10(37),as applicable.? Also what is a tax treatment of sale of that plot? Hi Hemant. In one of our client case, CIT decided that the interest u/s 28 of LA Act, was exempt before the ammendment of Section 145A(b) and insertion of clause (Viii) in section 56 (Income from other sources). After the amendment of the said sections in Income tax Act, the Supreme court ruling in the case of CIT V/s Ghanshyam (HUF) does not hold. What are your views on this? Do you have any latest judicial ruling on this, which we can refer, particularly after the said amendment. your article was really good and useful.Our land was taken up by Tamilnadu Housing Board and after more than 15 years of legal war recently we received the compensation partly.Our land was an agricultural land and the board have deducted tax up to 5% of the compensation.My question is since it is an agricultural land whether we have to pay 20% income tax or not to pay any tax? Kindly give your valuable suggestion and kindly send the reply to my e-mail id nata67@rediffmail.com. this is very key point raised by you ,no professionals raised this question reagarding taxabilty of interest on land compensation ,as per our view interest under section 28 of land Act,1894 must be part of compensation as interest on compensation under section 28 is given to farmers against the deprive of rights which ought to have enjoyed at time of announcement of award by Collector, in other words interest payment under section 28 is to compensate to farmer against damage of right – this is finding of Apex court.